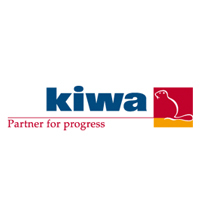 Kiwa in Sweden is a certification company focusing on the client, offering certification to the sectors of food processing, farming, and building, as well as system certification. We combine our competence with great service and a personal approach. Kiwa originates from KRAV (a Swedish standard for organic food and production), which was founded in 1985. With this solid background within organic certification, Kiwa today is the leading actor in Sweden in the field of organic certification. Within organic certification we are experts throughout the entire food chain, from farming and food processing, further to retailers, and finally the consumers. We offer a broad selection of certifications within food safety. With the motto ”partner for progress” we continuously work to develop and broaden our services, as to give our clients the best opportunities and possibilities to succeed in their markets. Kiwa’s logotype is the beaver, a friendly symbol for biological diversity, sustainable development, and competence, which are all the core values of Kiwa.